We have a new Bento Lunch in June. Mashed avocado with toast and a hard boiled egg. 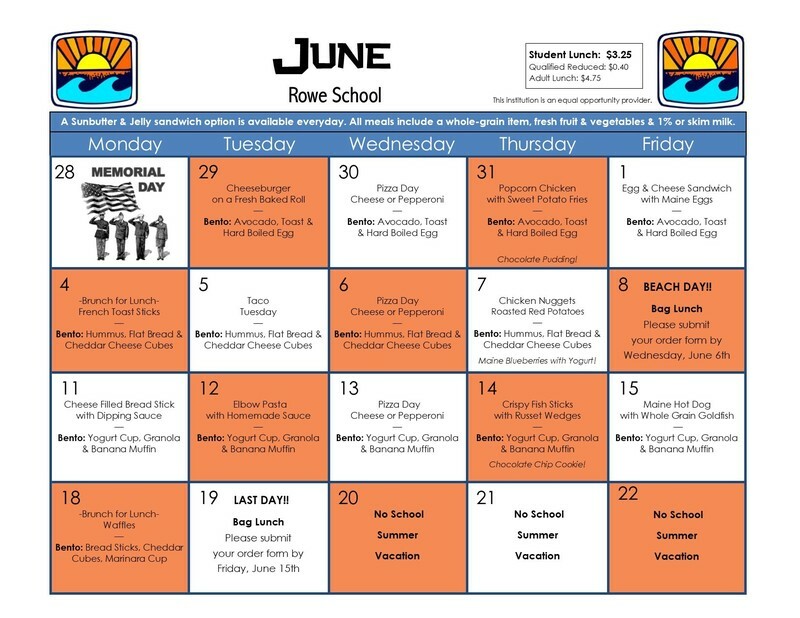 We are also offering bag lunches for beach day and the last day of school. Print off the order form below and submit to your teacher by the date indicated. Have a wonderful summer!